* ... ROAD RUNNERS: If you haven't been to Hardt Field to support the Cal State baseball team, now is your chance to do so. 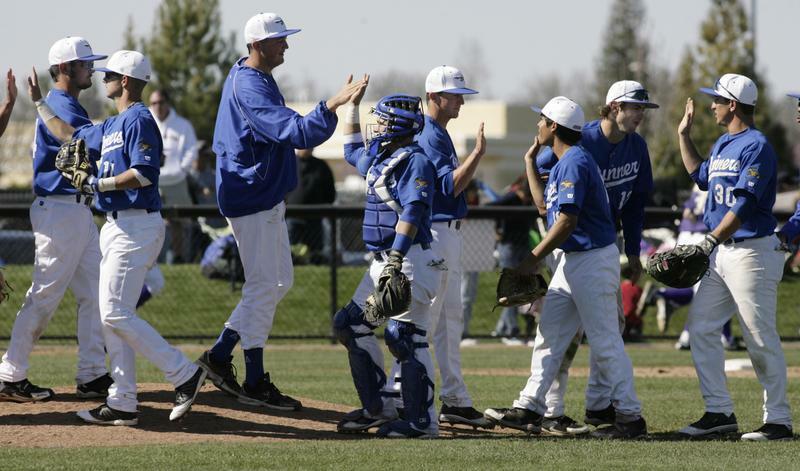 The red hot Road Runners, in only their third year of existence, will play eight games over 11 days at Hardt Field out at the Southwest campus. This includes two games against Kansas State on Monday and Tuesday followed by UC Irvine. The team is 24-8 going into the Thursday night game and is playing some of the best Division 1 baseball in the country. These kids certainly deserve our support. * ... ON THE MOVE: Former Padre Hotel special events director Liz Netherton has joined Freestyle Entertainment, a locally owned company run by brothers Mark and Jared Perry. Liz will be marketing the company to the Central Coast as it expands its operation. She will be living in Shell Beach. 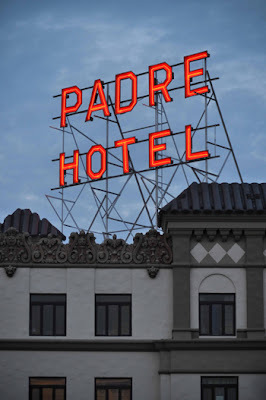 * ... PADRE: Speaking of the Padre, it is alive and doing well according to owner Brett Miller. But apparently the hotel has been deluged by calls asking if it is going out of business. The reason? It all started after the The Californian ran a story saying it was closing. The story was actually part of a weekly historical feature called "Kern's Past," dated 1961, when then owner Spartacus Miller did announce he was closing the classic landmark property. But of course that was 50 years ago and today, the newly restored Padre is up and running and doing a brisk business. * ... COLLEGE GRADS: Laura Camp grew up in Bakersfield, graduated from Southern Methodist University and now lives in Washington, D.C., but keeps up with her hometown by following my blog online. She wrote to share the good news that her younger brother, Donald 'Max' Camp III, as well as three of her cousins are all graduating from college this May. "My cousin McKenzie Camp will be graduating from Eastman University in Rochester (NY) and heading to San Francisco and cousin Katie Camp will be graduating from San Diego State University and coming back to Bakersfield. My cousin Jack Pandol Jr. will be graduating from Washington and Lee University (VA) and brother Max from Southern Methodist University (TX) and am excited to have them both join me in D.C. after graduation. All my cousins, siblings and self included attended Bakersfield Christian High School." * ... NEW EATERY: A new restaurant has opened downtown in a building in the center of the arts district. It is called Chef's Choice Noodle Bar and is owned by the same family that owns the Thai Orchid off Brimhall Road and Dr. Nick Hansa, a local pulmonologist. I had a chance to dine there last week and it was excellent, pulling on the flavors that the Thai-born Dr. Hansa and his wife know so well. Locals are hoping the best for this effort. In the past 10 years there has been a revolving door of restaurants and bars at 19th and Eye streets, including Downtown Joe's, Capistrano's and the Do Wop Diner. * ... STREETCARS: From my mailbox: Lillian Rea wrote to tell me that she was "the last passenger to ride all the way to the car barn at midnight, February 28, 1942, on old number 17. The conductor was Mark Wade, and my husband. He called me and asked me to come and ride into the barn on his last run. And so it was, that I became the last person to ride on the last street car to run in Bakersfield. Making me a true Bakersfildian." Indeed, I think that qualifies you. * ...WHO KNEW? Bolthouse Farms sells nearly a billion pounds of carrots a year under a number of different brand names and supermarket labels. Only Grimmway Farms, a few minutes down the road in Bakersfield, sells more, and just barely. Together, the two companies control more than 80% of the carrot market in the United States.